Paradise Valley certainly lives up to its name. A charming enclave of luxury in the heart of Phoenix, Paradise Valley offers so much within its 16-mile span. Remarkably, it is home to 11 luxurious resorts that attract even the most discerning of world-travelers. Among the impressive collection are the historic Camelback Inn, The Montelucia, which is known for its heavenly Joya Spa, where you can immerse yourself in an unforgettable day of relaxation. Perhaps the most renowned of the area’s resorts is The Sanctuary on Camelback, a breathtaking 53-acre oasis that is home to the legendary Jade Bar, where you can unwind with a craft cocktail while taking in panoramic mountain views. The phenomenal year-round climate that boasts an average of almost 300 sunny days each year is perfect for the wide selection of outdoor activities that can be enjoyed by visitors and residents of all levels of fitness. Camelback Mountain doesn’t merely provide a dramatic backdrop for the area’s homes and businesses, it’s also an incredible hiking destination that includes over five miles of trails as well as the iconic 100-foot high sandstone formation known as The Praying Monk that provides a challenging climb for those seeking adventure. 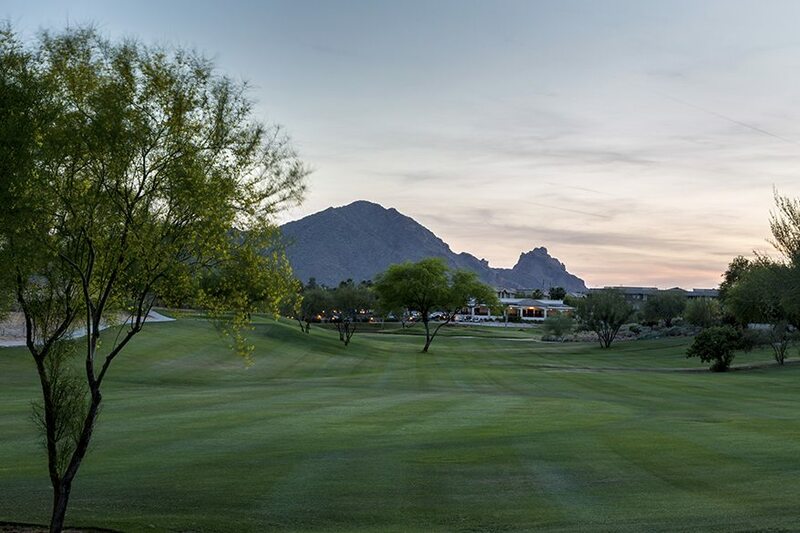 Golf enthusiasts will revel in the choices of beautiful courses, including Paradise Valley Country Club, which has been recently renovated by Coore-Crenshaw, designers of some of the most prestigious courses in the country. Not to be overlooked is the wealth of choices for high-end shopping, the most popular being Biltmore Fashion Park, an open-air mall featuring Brooks Brothers, Ralph Lauren, and Saks Fifth Avenue. Equally impressive is the selection of gourmet dining spots that will delight even the most discerning of palates. Lon’s at the Hermosa Inn, Steak 44, and the award-winning Elements at The Sanctuary are just a few of the standouts. No matter what type of luxury experience you’re seeking, it can be found in Paradise Valley. With 72% of properties valued at $1,000,000 or more, Paradise Valley has the distinction of being Arizona’s wealthiest market and is home to some of its most prominent citizens. The current population is approximately 13,000. One of the community’s most famous residents was Senator Barry Goldwater, who served in the senate for over thirty years. A memorial statue was erected in his honor and sits at Goldwater Institute as an homage to the proud and notoriously straightforward Arizonan. Many celebrities and politicians have chosen Paradise Valley as their home or vacation destination because of the high level of privacy it affords and indulgences that are readily available. 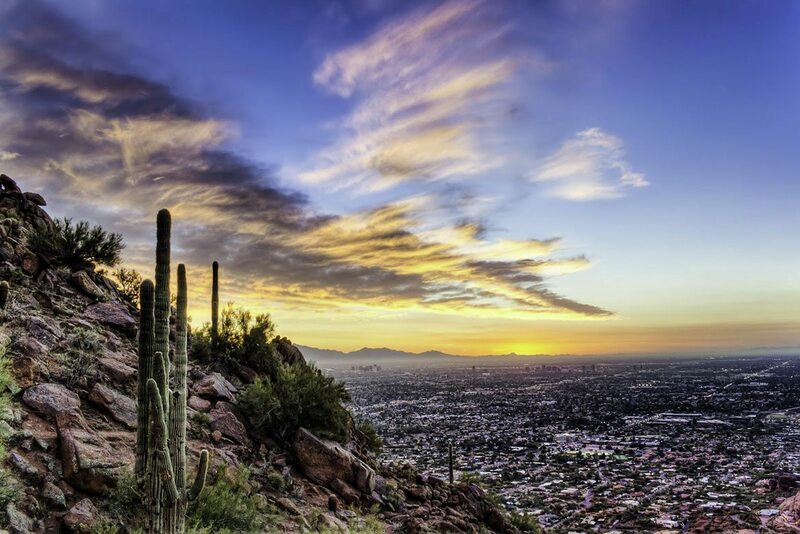 The easy access to Scottsdale and downtown Phoenix is also a major draw. Once you’ve found this pocket of paradise, you’ll never want to leave!